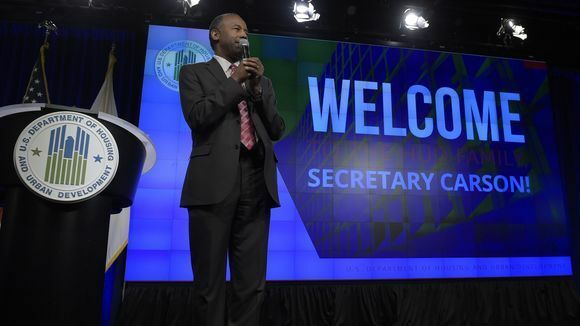 Housing a Urban Development Secretary Ben Carson speaks to HUD employees in Washington, Monday, March 6, 2017. *Ben Carson paid an uncomfortable visit to Cairo, Illinois recently and saw firsthand the devastating results of his party’s politics. 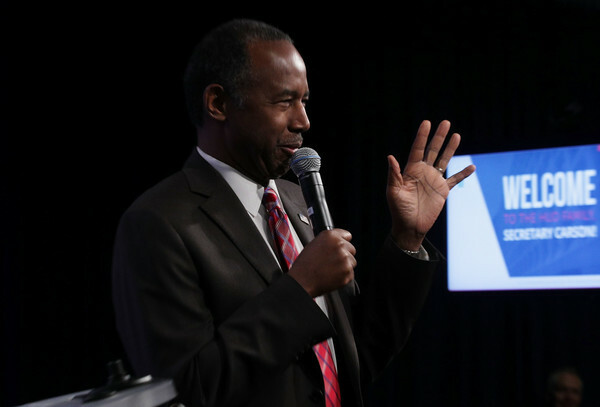 Hundreds of low-income families are being pushed out of their homes in the city as a result of decisions Carson has made in his first few months as HUD secretary. The pair of housing projects at risk have become notorious across the state in the past two years for chronic and possibly criminal mismanagement, sewage backups in parking lots and lawns, dangerous mold, and broken or nonexistent smoke alarms — but HUD’s decision to tear the Elmwood and McBride apartments down rather than fix them leaves 400 Americans looking down the barrel of homelessness.